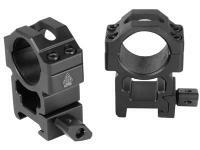 UTG 1" Quick-Detach Rings, Medium, Weaver/Picatinny, See-Thru, Law-Enforcement Grade. 1" rings. 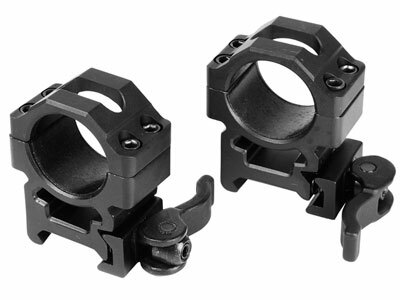 Things I liked: The whole reason I bought these rings was to quickly and easily remove my scope without effecting the settings when I mounted the scope back on to my rifle. I have a high end light and laser set mounted to my scope and can not put the rifle in my gun case with the scope mounted to the rifle. These rings were perfect and solved the problem I had. 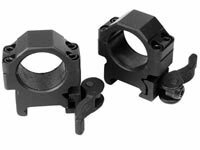 They are high quality rings that stay in place and hold my scope settings even after time after time of removing the scope. 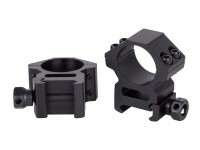 The scope rings also hold the scope in place even after a full day of firing the rifle. They look great and work perfect. 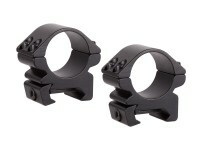 I highly recommend these scope rings for anyone looking for rings that perform the way these scope rings do. Things I would have changed: I have nothing negative to say about these rings and there is nothing I would change about them. 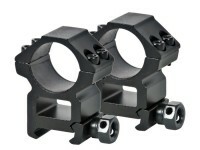 What others should know: I guess I should mention the rifle I mounted these rings on and the scope mounted in them. The rifle is a Benjamin Trail NP XL 1100 .22 cal. 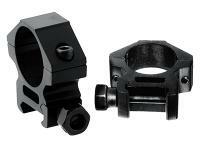 Air Rifle and the scope is a Leapers 5th Gen 3-9X40 Full Size AO Mil-dot RGB Scope. 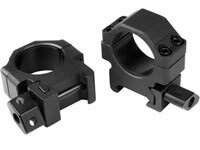 I have an UltraFire high intensity flashlight and a red/green LaserScope Laser mounted on a NcStar Scope Mount Adaptor with Dual Weaver Rails. Great set up and allows me to use it for small game hunting in almost any outdoor conditions, and now with the addition of the UTG quick detach rings my set up is complete. My compliments to UTG and the great products that they make. Excellent quality. 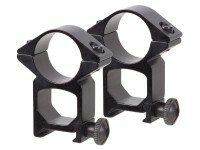 Once adjusted, the mounts are rock steady on a picatinny rail. 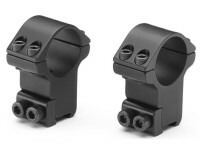 The special grip-tape holds the Hawke 2-7x32 AO scope very firmly. No creep. Recommend. Things I liked: Typical UTG. Well made and a great value for the money. Things I would have changed: Improve strength of threaded metal because three screws failed to tighten on threads. What others should know: Follow tightening sequence detailed in instructions. Do not over tighten. 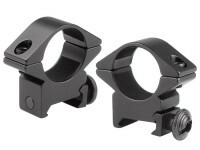 What's the difference between these law enforcement rings and the regular quick detach medium rings of the same brand? Both are 1' and both have 4 hex screws. Both are quick detach. 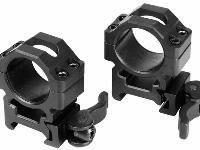 I don't get why these cost more but I don't want to miss out if these law enforcement grade rings are better.